Even the most particular tube bait flipper will love Chompers Tubes! They're fat made of super soft plastic. They are sassy just loaded with salt and garlic. The perfect flavor and scent combo to make lunkers hold on longer. Fishermen get incredible action and fish-attracting qualities. Chompers Tubes can be rigged with Chompers Tube Weights, jigheads, Texas style, or with any tube rigs. 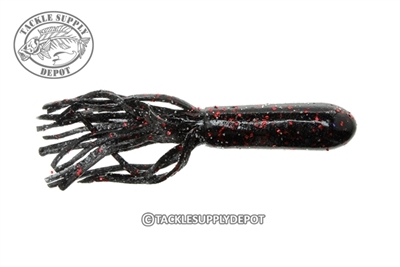 These Chompers Ultra Tubes in Dark Melon Pepper are absolutely killer on the spotted bass. The infused garlic and salt is a killer combination. I cant keep enough of these in my boat. I cant wait to try the other Chomper baits I purchased. (Drop Shot Worm & Twin Tail Trailer) Thank you Tackle Supply Depot for the prompt delivery and communication through out the entire shipping process. Second to none.